David Campbell Bannerman (Conservative) Born 1960, Bombay. Educated at Edinburgh University. Former communications director and special advisor to Sir Patrick mayhew. Tunbridge Wells councillor 1992-1996. Contested Glasgow Rutherglen 1997, Warwick and Leamington Spa 2001 as a Conservative, North Cornwall 2005, Suffolk South 2010 for UKIP. Contested Highlands and Islands in 2007 Scottish elections. Contested UKIP leadership election in 2006, 2010. Deputy leader of UKIP 2006-2010. Rejoined the Conservative party in 2011. MEP for the East of England since 2009. Robert Sturdy (Conservative) Born 1944, Wetherby. Educated at Ashville College, Harrogate. Former farmer. MEP for Cambridge and Bedfordshire North 1994-1999, East of England since 1999. Andrew Duff (Liberal Democrat) Born 1950, Birkenhead. Educated at Cambridge University. Cambridge councillor 1982-1990. MEP for East of England since 1999. Awarded the OBE for services to politics 1997. Richard Howitt (Labour) Born 1961 Reading. Educated at Oxford University. Harlow councllor 1985-1995. Contested Billericay 1987. MEP for Essex South 1994, for East of England since 1999. Vicky Ford (Conservative) Born 1967, Omagh. Educated at Cambridge University. Contested Birmingham Northfield 2005. MEP for East of England since 2009. Stuart Agnew (UKIP) Born 1949, Norwich. Educated at Royal Agricultural College, Cirencester. Farmer. Contested Mid Norfolk 2001, Norfolk North 2005, Broadland 2010. Candidates announced so far for the 2014 European election are here. I don’t know whether the Green Party nationally will get more, or less, votes nationally than it did in 2009. The fact that the GP was being shown in opinion polls at an equivalent stage before the election in 2009 as having more support than it eventually polled tells us that either the polls were wrong (perhaps because of a methodological issue that affected more than one pollster) or that GP support declined in the last week of the election five years ago. I have no reason to believe that either of them is likely to be repeated this time (pollsters have, for example, made changes to methodology that may well rectify if that was the reason for the gap five years ago). Meanwhile, things like yesterday’s front page of the Metro giving the Green Party its best front-page story in any national paper this close to an election for decades may mean the GP is still moving up in the polls _this_ time. What I _do_ know is that the Green Party in this region is making better use of its resources than 5 years ago, while so far at least, I am seeing less from other parties (most notably the LibDems who don’t seem to have got posters up even in the council seat they are defending here) than five years ago (and a particular tactic the LDs deployed 5 years ago to depress the Green vote in this region hasn’t been used this time). 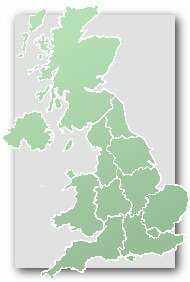 I don’t know what the result will be, and while I _think_ the result will be 3 UKIP, 2 Tory, 1 Labour and 1 Green, I am sensible enough to know that is far from guaranteed: it looks like UKIP and Tories will get at least 2 each, Lab at least 1, with the last 2 seats which are up in the air being split between UKIP, Tories, Lab, LD and Green (so my feeling is UKIP will get one and the Greens the other). Polls are only a snapshot in time. Even on the eve of the election, people were saying they would vote for none of the major parties out of anger, but who still ended up voting for one of them. Also, to be blunt, if a story about a UKIP councillor getting the police over for a Green Party tweet is really the best story you’ve ever had going into an election, that’s not saying much. I mean, on a UNS from the last Opinium poll it comes out as 3/2/2 UKIP/CON/LAB, but I’d be surprised if Labour actually shot up eleven percent in this region. Adam, do you have any vote shares (or ranges) in mind to give that result? I certainly don’t think it is impossible, but it looks like one of those scenarios where an unlikely combination of shares would have to happen for Labour to get a 2nd seat in Eastern, rather than either LDs or Greens getting a seat. It was a close call between giving Labour a second seat and giving the Greens or Lib Dems a seat, but I’ve got Labour down to gain a handful if seats in the region next year, so this might translate through to the getting a second Euro seat. As I said though, that’s assuming the national swing is uniform from 2009 to now, and I’m guessing that if Labour’s going to underperform the national swing anywhere, it’s in the east and southeast – regions where the Liberals didn’t have *that* much initial strength for Labour to hoover up, and where UKIP is competing for votes in coastal areas that would once have been Con/Lab swing voting. Labour types around here seem to be optimistic about a second seat, mainly because of the relatively favourable set of adjoining council elections, but it’s hard to know how realistic they’re being. Where is ’round here’ ? James, it isn’t just that there wasn’t huge LD support in the region, but also Labour are not excatly ‘hoovering it up’. Looking at various recent polls, nationally for every 2 former LD votes Labour look like gaining, somewhere more than one, and often very close to 2 former LD votes will go to the Green Party at the European Election. So former LD votes are much less likely to do enough to help the Labour Party put on 9% plus than to help the Greens put on 1% plus in Eastern. If you asked people to pick the leader of the Green Party from a series of pictures and names, I think less than 5% would pick the right person if Caroline Lucas, Jonathan Porritt etc were also on the list. The identity of a party leader is, at times, not terribly relevant. I can’t for the life of me remember who was leader of UKIP in the time when Farage put his all into finishing 3rd in Buckingham. Yes, some voters will have gone back to Labour who voted Green five years ago, but I know of others who have gone the other way, while opinion polls also show all sorts of flows, including Labour to UKIP. But five years ago, we also had vote ‘Blue to go Green’ and similar attempts from the LDs to squeeze the Green vote, neither of which are happening this time. The profile and competence of the party leader is crucial, especially in a PR election where every vote counts. If I were the Greens I would dump Bennett as a matter of urgency. The Green Party has annual elections for leader (iirc – or perhaps it is bi-annual), and a limit on the number of consecutive terms. I don’t know, but I suspect that the powers that be in the Green Party plan Caroline Lucas to be leader again for the General Election, with an election, as planned, this autumn. After all, for the Green Party, unlike UKIP, next year’s election is the more important one. I am really pleased with my region’s campaign. A superb performance on the part of the Conservatives. Disappointed for Greens in the region, but not surprised given local results from the West of the region, though. With only 8.5% it would have taken a massive fluke to win a seat. Clearly beat LDs, but still 15,526 votes short of a Green MEP in East. I think this means Lib Dem Andrew Duff who famously called for the English to be ‘defeated’ is no longer an MEP. What a silly comment by Andrew Duff. It’s about three comments above, assuming accuracy. There’s a breakdown of results on the Chelmsford site for the Eastern region. Interestingly Labour came first in Watford which I didn’t expect at all. Granted it was by a few hundred votes over UKIP. Unsurprising because he previously stood for UKIP as MEP and deputy party leader. Are any other Conservative MEPs supporting leave? It’s not known exactly but it’s been reported that just under half of the 20 CON MEPs are LEAVErs. Including Daniel Hannan, Andrew Lewer, Emma McClarkin, Amjad Bashir, David Campbell-Bannerman and Syed Kamall, ex leader of the Conservative MEPs in the European Parliament & who helped broker David Cameron’s renegotiation package. Well under the Rev Ian Paisley, the DUP undoubtedly would have been. However much water has now passed under the bridge, and people on both sides of the community in N Ireland are now clearly aware of how much their bread is buttered by staying in the EU. Oh fcol..who cares! I was hoping a mention of Shore would elicit from you a comment on the 1970s Labour left and in particular their approach to the Common Market/EEC. The DUP have been fairly united behind their Brexit stance so I expect Diane Dodds is pro-Brexit. Not much of a career move for his replacement, for a likely short term. Lots of “creative” solutions I’ve noticed least of all judging by the Welsh valleys, Black country and my new favourite seat “Clitheroe and Colne” the BC have developed a love for thin stringy constituencies. They’ve included Leavesden in St Albans’ new boundaries, I’m claiming the Harry Potter Experience as ours now. Abbots Langley is also now included, so Liz Kendall can’t keep saying she’s from Watford anymore. On a serious note I haven’t looked at the numbers yet but I expect this will be good for the Liberals. I thought the boundaries for Norwich where interesting? Worked out the notionals but didn’t save them and now I’ve forgot. Norwich north gets part of Norwich south under the proposals, making it more difficult for Chloe Smith to hold. Norwich south gets part of South Norfolk, making it more marginal for Clive Lewis. Even Steven, but will it please anyone? Tory majority of 17% thus nothing too exciting but with Ken Clarke retiring, the loss of his potential personal vote and the way West Bridgeford itself is trending could this be a Labour seat at some future date? Alex Mayer has been confirmed as the replacement Labour MEP for the Eastern region. No surprise as she was next on Labour’s list in 2014. A good springboard for selection as a parliamentary candidate in 2020 I imagine. Not that there are many winnable seats for Labour in the East.